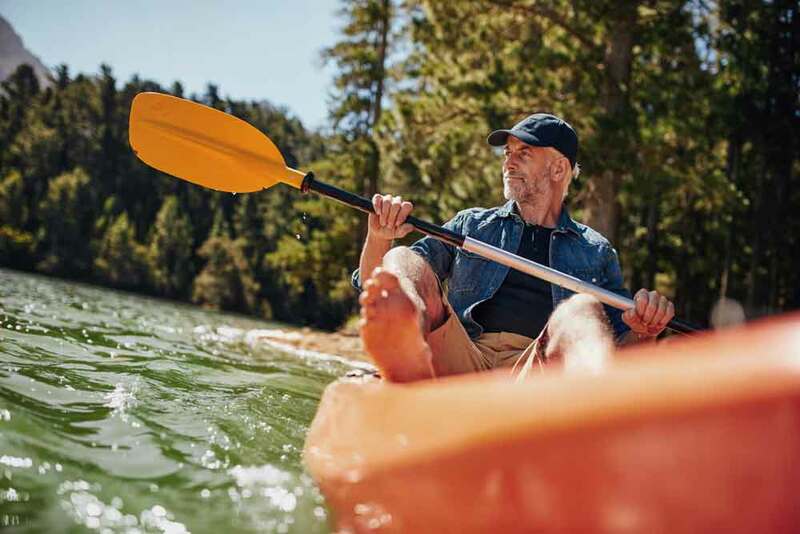 Staying physically active is one of the ways men can stay on top of their health throughout life. Exercise reduces the risk of developing cancers and countless other diseases. Life expectancy for men (76.2 years) in the U.S. is five years less than women (81 years). About 15 million men are diagnosed with depression each year. Women are told to visit a doctor for annual exams, yet men often forego a visit to the doctor unless something is wrong. Preventative care should be a priority for men and women, an important point that health care professionals across the United States remind their patients every June during Men’s Health Month. “Because men are not compelled to do annual physical exams in the way that women often are, they may not realize that there is screening which is important to have done periodically to make sure that there are not modifiable issues which can prevent later disease,” said Dr. Shannon Garton, Family Medicine Physician at Kaiser Permanente’s Edwards Medical Offices. The Centers for Disease Control and Prevention lists the top causes of death in men across all age groups as heart disease, cancer, unintentional injuries, stroke, lung disease, diabetes, influenza and pneumonia, suicide, kidney disease and Alzheimer’s disease. Garton said that younger men in Colorado should be especially cognizant of the top causes of death for males ages 10 to 34: unintentional injuries and suicide. For men ages 35 to 44, the top three causes of death are unintentional injuries, heart disease and suicide. Men’s mental health, and specifically suicide, has been dubbed a silent epidemic by researchers due to its prevalence and lack of public awareness. Men die by suicide 3 ½ times more than women, according to the American Foundation for Suicide Prevention. Garton said the prevention of so many of the top diseases affecting men share a common thread: healthy lifestyle. Smoking and being overweight are two of the top risk factors associated with developing illnesses. And even men who find they can eat burgers, fries and pizza whenever they want while still maintaining a healthy weight should adjust their diets to include more healthy foods. Preventative exams for men include lab tests and physical exams that screen to see if there’s a risk of developing any medical conditions that may lead to disease. Garton said screenings for hypertension, high cholesterol and diabetes are typical, and screenings for colon cancer begin once men are over the age of 50. In addition to screening for disease, Garton recommends that men keep safety in mind when engaging in sports, driving or sexual activity. “And again, even if a person can ‘get away’ with an unhealthy diet by maintaining a healthy weight, eating healthy food and getting adequate exercise still helps keep us healthy on the inside,” she said.